Let this loud doorbell signaler alert you to people at your door. Permit the loud doorbell signaler keep you apprised of anyone at your front door. Are you looking for a device that will send you signals about when someone is at your door? Our loud doorbell signaler, the DB100, does exactly that. The purpose of the loud wireless doorbell signaler is to alert you when someone is at the front door. This loud wireless doorbell signaler does not require any wires and can be installed very quickly. How the loud wireless doorbell system signaler works is by flashing a light that is plugged into it and any other Sonic Alert remote receivers. There are a different number of flashes and flash codes for different areas of the house. 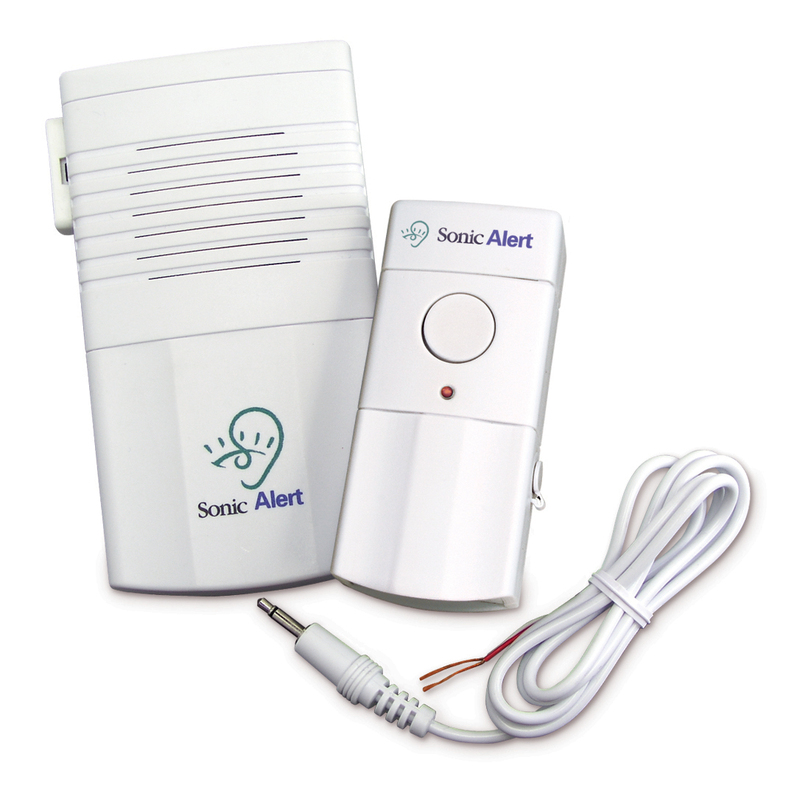 Also included in the loud wireless doorbell system signaler is a built-in chime for hearing members of the family. The product works with the following remote receivers: SA101, SA201, BL300, RH100, and the SB1000 alarm clock's built-in receivers. This signaler will be helpful for you and assist you in being more alert to what's going on around your house. • Built-in chime for hearing members of the family (can be turned off).